The ADR Section is pleased to invite you to attend this series of informative teleseminars. Each will include a panel discussion with advice and anecdotes from senior, experienced practitioners on best practices, techniques, common mistakes to avoid, and how to best prepare to mediate and arbitrate. In this first of three teleseminars, three experienced mediators share their best tips for advocates using the mediation process in civil, domestic and probate disputes. This 90-minute teleseminar will provide tools for proficient mediation advocacy; strategic negotiating techniques; drafting compelling mediation summaries; achieving client goals and objectives at the mediation table; preparing clients for the mediation process; and next steps when your case doesn’t settle in full at the bargaining table. Become the most effective advocate you can be with new ideas, powerful insights and a fresh approach to achieve better results in your future mediations. This will be directed to advocates. Additional teleseminars will take place on April 2 and May 21. Michael S. Leib, Moderator: Michael S. Leib is a mediator with Leib ADR LLC in West Bloomfield, Michigan, and devotes his time to the mediation of business disputes including bankruptcy disputes and participation on the Alternative Dispute Resolution Section Council of the State Bar of Michigan, as well as on the Debtor Creditor Committee of the Business Law Section of the State Bar of Michigan. He has been an active participant in trial skills education, having written several articles and been a faculty member of ICLE Trial Skills workshops, Federal Bar Association presentations, and ABI workshops. Mr. Leib retired as a business trial lawyer in 2014 after many years as a shareholder at Maddin, Hauser, Roth & Heller, P.C. His practice was divided between litigation in the bankruptcy court and business litigation in the state and federal courts. Mr. Leib has been listed in The Best Lawyers in America and SuperLawyers, and is AV-rated by Martindale-Hubbell. He received his B.A. from Kalamazoo College and his MM from the University of Montana, and his JD from Wayne State University Law School. Susan Davis has been an attorney for over 32 years, since receiving her BA, MSW, and JD degrees from the University of Michigan. She is a member of the state bars of Michigan and Arizona. Susan has been a mediator for 12 years. She completed her civil mediation training through ICLE, domestic relations mediation training through the Oakland Mediation Center, and special education mediation training through the Michigan Department of Education. She currently mediates through the Dispute Resolution Center in Ann Arbor where she focuses on domestic relations, probate, and special education matters. 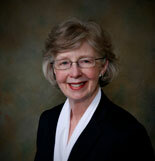 For several years she also served as a mediator for the Northern Community Mediation Center in Petoskey. Sheldon J. Stark is a member of the National Academy of Distinguished Neutrals, a distinguished fellow with the International Academy of Mediators, and an employment law panelist for the American Arbitration Association. He is also a member of the Professional Resolution Experts of Michigan (PREMi). He is past chair of the Alternative Dispute Resolution Section of the State Bar of Michigan and formerly chaired the Skills Action Team. Mr. Stark was a distinguished visiting professor at the University of Detroit Mercy School of Law from August 2010 through May 2012, when he stepped down to focus on his ADR practice. He is the recipient of the Labor and Employment Law Section’s Distinguished Service Award and the State Bar Representative Assembly Michael Franck Award. Robert E. L. Wright attorney/mediator/arbitrator is a pioneer in mediation and ADR in Michigan. In 2011, he left a large Michigan firm to develop his arbitration and mediation practice, The Peace Talks, PLC. Bob is a member of Professional Resolution Experts of Michigan (PREMi) and heads its Grand Rapids office. Recently named 2016 Arbitrator of the Year by Best Lawyer™, Bob has more than 30 years of experience as a litigator, representing clients in mediation, arbitration and trials, and serving as either a neutral or a representative in ADR proceedings. As a neutral mediator and arbitrator, he has helped over 1,000 individuals and businesses resolve their disputes. In addition to his wealth of practical experience, Mr. Wright trains other mediators in both basic and advanced courses and is a member of PREMi, the ADR Section of the State Bar of Michigan (past chair), ACR, ABA Dispute Resolution Section, Grand Rapids Bar Association ADR Section (chair), and volunteers as a mediator for the Dispute Resolution Center of West Michigan. Dial-in information will be included on your confirmation email.